The Panasonic PTP1003M Twisted-Pair Video Balun is a passive transmission device designed to transmit video or PTZ (pan/tilt/zoom) signals over unshielded twisted pair wires. The Panasonic PTP1003M can be simply mounted with the video source or receiver without the need for any additional cabling. It can work with any camera having a built-in twisted-pair transmitter. The Panasonic PTP1003M features built-in surge suppression and crosstalk & noise immunity. The Panasonic PTP1003M does not require a power source. The twisted-Pair Video Balun supports point-to-point transmission distances of up to 1000'. 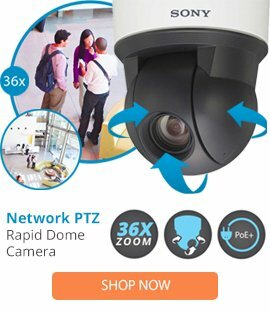 The PTP1003M is a perfect solution to applications such as security, surveillance and video conferencing, among other uses.